Certification training will consist of providing a natural look for your clients through individual lash application so that there is not a distinction from where the synthetic lash is applied. 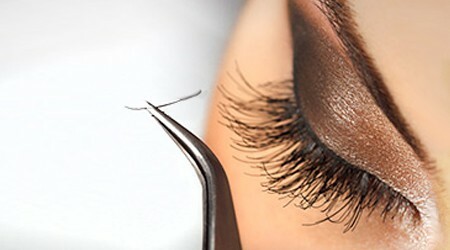 Your client will have a “weightless” feel and the ease of not having to use a lash curler. In addition to providing an overall fullness and length without the use of mascara, colored lashes can be applied to enhance their eye color. Clients can enjoy their same past time activities including exercising and swimming. Comprehensive training includes practical and hands-on theory. Dermablading is a non-traumatic, non-invasive manual exfoliating treatment utilizing a safety blade that removes cells from the upper most layer of the stratum corneum. Dermablading is a safe, effective exfoliating facial treatment for all skin types and Fitzpatrick skin levels. Combining Dermablading with certain enzymes provides clients with a deeper treatment effect. Removal of vellus “peach fuzz” facial hairs gives a smoother skin texture and allows for better makeup application for a much more youthful appearance. In this alternative therapy program you will learn about the meaning of Ayurveda and Doshas, how to incorporate this information into client diagnosing, home care and treatment plan, and how understanding Ayurveda and Doshas helps you understand yourself, friends and clients. Identifying the imbalance of your clients skin Doshas allows you to get to the root of their skincare issues and treat them from the inside out. Part 1 – Manual Lymphatic Drainage techniques is essential to all menus of services for licensed aestheticians. By discovering rhythmic and relaxing massage techniques, this allows you to couple Manual Lymphatic Drainage with your skincare services and products to aid your clients in clearing under eye puffiness, dark circles, and sinus discomfort. Part 2 – Manual Lymphatic Drainage certification utilizes the techniques of Emil Vodder, PhD. The Vodder method of massage is gentle and brings balance to the body’s internal chemistry, helps to purify and regenerate tissues, as well as normalize functions of organs and promote immune system functions. You will review Lymphatic systems, outline how and when this massage is incorporated during facials and pre or post operations, get familiarized with skin types and conditions to recognize which clients and their skin types can benefit the most from this treatment service. Jessner Peels are peels that are applied in layers. Aestheticians will apply a maximum of 4 to 5 layers generally (Physicians can apply up to 7 layers). Jessners, when used by Aestheticians, are considered to be superficial to medium depth peels, depending on the number of layers applied. The standard Jessner formulation is 14% lactic, 14% glycolic, and 14% resorcinol, in an ethanol base. Resorcinol can be irritating for some clients, and in this case, a Modified Jessner can be used. This is when the resorcinol is replaced by another acid, such as citric. Jessner Peels are safe for all Fitzpatrick types, and is considered one of the most effective peeling agents for addressing hyperpigmentation and skin texture in Fitzpatrick types III-VI. Jessner Peels are also effective on Oily skin, Acne, Melasma, Post Inflammatory Hyperpigmentation (PIH), and Pseudofolliculitis Barbae. Jessner and Modified (Non-Resorcinol) Jessner solutions can be alternated in the layering, to reduce possible irritation, while enhancing depth of penetration. Jessners can be utilized in a series, or can be an effective one -time treatment, depending upon the conditions being addressed. The skin must be prepped with an inhibitor and/or professional exfoliating treatments, along with an appropriate professional homecare regimen, in order to achieve optimal results without possible adverse side effects. Professional grade Jessners cannot be purchased without professional certification. Advanced training is crucial to successful, safe use of these peels. Jessners and Modified Jessners are a great addition to the Aesthetician’s professional knowledge and skill set. Upon completing this course, you will be able to perform the three different types of bikini and Brazilian waxing. In this course, you will also receive a basic understanding of where hair comes from and how to properly remove it, what type of wax is best suited for the coarseness of hair, and how much money there is to be made in the industry of waxing, especially Brazilian. You will also gain the knowledge of proper positions that will make your client feel at ease. This workshop is a must have as waxing has increased over 50% in the last five years. Congratulations on taking the first step to owning your own life and investing in your dreams! 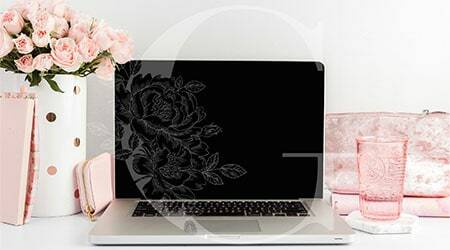 I am thrilled to share this curriculum where I hand walk you through the confusing, pain staking process of how to start your business, how to market your business and what to expect in the first year of operation. By making smart business investments in yourself, you can obtain the upper hand in the creation of everything you could ever ask for. Starting your own business from scratch is no easy feat, but don’t let that stop you. Think of this as your blueprint to guide you along the entire process.